If you own a Micromax Canvas Spark 3 Q385, and you are looking to flash TWRP and root this device, then you have visited the right page. The Micromax Canvas Spark 3 Q385 is the affordable smartphone, with impressive looks, and is available at an unbelievable price of Rs. 4999 at Indian Online Store, Snapdeal.com. 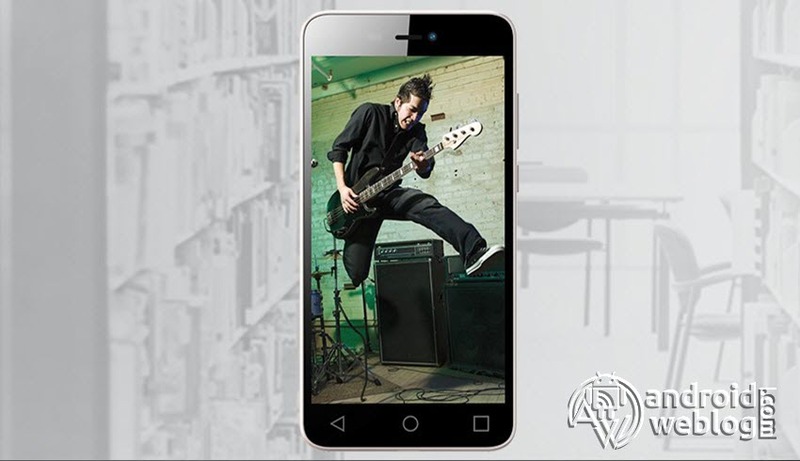 The smartphone is targeted to the music lovers, since it packs the booming box speakers. The powerful 1.5CC Box 2509 speakers are integrated in the device, which lets the world groove to the music playlist. It has a Wide-screen 13.97cm (5.5-inch) HD IPS display, with 1280×720 pixels resolution and 16M colors. The smartphone is powered by a QUad-core processor, which is running at 1.3GHz speed, along with 1GB DDR3 RAM. The rear camera is 8 megapixels, while front camera is a 5 megapixels sensor. The device supports 3G connectivity, and runs on Android 5.1 Lollipop operating system. The 2500 mAh battery is rated for standby time of up to 360 hours and talktime of 7.5 hours. The internal storage is 8GB, from which 4.7GB is usable for the apps and phone storage, while supporting up to 32GB of microSD card for expandable storage memory. If you are an Android Enthusiast, and want to Root and Install TWRP recovery on your beloved, then you have landed on the right page. In the due course of the article, we will guiding you through the process to root Micromax Canvas Spark Q385. If you want to unleash the full potential of the hardware of your Micromax Canvas Spark Q385 , then rooting and flashing custom recovery like TWRP is the main concern. The Stock ROMs have often limited and unsupported features in the sense of Customization. When you have a rooted device and also flashed TWRP recovery, then you are free to install any Custom ROMs, Mods, Kernel, and Xposed etc., as well as many apps which requires root access to work properly. You can easily root the device with One Click Android Root Tool, with either via PC or through the APK, which is a quick process. Download KingRoot APK for Android from here. Download KingRoot for Windows from here. Step 1: Open the browser of your phone and enter the address: www.kingroot.net. Then Download KingRoot APK for Android. Step 2: As soon as KingRoot download would complete, then immediately tap on the drop-down notification bar to begin installation process. Step 3: If by-default your device was set to ‘Install Blocked’, then you might get message ‘installation blocked’. Don’t bother just tap on ‘Install anyway (unsafe)’ to skip the same, or manually enable the the installation in the settings. Settings>Lock screen and security>Unknown sources and enable the same. Step 4: After enabling the installation, you will be prompted with ‘KingRoot’ installation screen. Just tap on ‘Install’ to begin the installation process. After the installation is complete, tap on ‘open button’ and this will start the KingRoot app. Step 5: Without wasting any time, tap on ‘Try it’ button followed by ‘Get now’ just below ‘Root access not available’. This will start the rooting process. Step 6: Now, rooting process has been finished and completed. After your device is rooted, you will return to the main screen, and this will finish the rooting process. Step 1: Run the ‘KingRoot for Windows PC’ setup file and install the software. After installation process completes, click on (completed to complete the setup. Step 2: After enabling the USB Debugging Mode ‘On’, connect your Micromax Canvas Spark Q385 to the computer via USB cable. After the device is plugged in, the KingRoot will automatically detect the Model number and Android version of the device. If your computer have already driver installed, then it will be a quick process, otherwise KingRoot will install drivers (Internet Connection required). Step 3: If USB Debugging Mode is already enable, then you will see the ‘Root (Attempt to root) buttons on the screen. Just click on the ‘Root’ button and this will begin the process. Step 4: Monitor the rooting process with progress percentage bar, and the process will be completed in few minutes. The device will reboot several times during the process. Step 1: Head over to the Play Store, and Install Flashify app. Link. Step 2: Now move the downloaded Recovery.img file to the internal storage of the device. Step 3: Now, open the Flashify app and then select the ‘Flash Recovery’ option, and navigate to the recovery.img file. Step 4: That’s all! You have now TWRP working on your device. Congratulations, now you have rooted and installed TWRP Recovery on Micromax Canvas Spark Q385. Now, you can install Xposed Framework, and customize your smartphone as per your preference. If you wish to verify, you may download and check the Root Status through Root Checker app.